After having twin girls, Lindsay and Kayla, Karen was convinced the new baby she was carrying was a boy. Everyone was convinced it was a boy… except Lindsay. So Karen told Lindsay she could name the baby if, somehow, it was a girl after all. Karen breathed a sigh of relief. 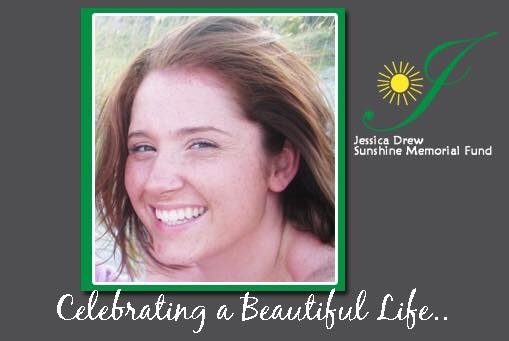 Jessica came to be known as Jessie, and Jessie was known by all as pure sunshine. She grew up to be the kind of person who would visit the humane society often, calling home to check and see if there was room to adopt a stray. She cared about animals, and cared about people even more. She’d surprise her family with funny messages; she left the biggest tip when she and her friends went out to eat; she talked to the people most other people ignored in school. She really was sunshine: light, warmth, and joy that was not only seen, but felt. 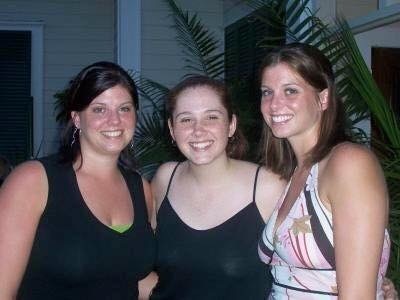 Jessie was in a car with her friends on the day everything changed. Karen had just gotten home from the grocery store when the phone call came: the girls were in an accident; the chaplain at the hospital is waiting for you. Karen dropped the phone and ran to her car. And then, reality hit. This wasn’t a TV show. This was actually happening. Jessie was gone. It was April 29th, 2008. Jessie was 21 years old. But even after her tragic death, evidence of Jessie’s bright life still lingered. Always extremely generous, always ready to help someone in need. That’s how the Jessica Drew Sunshine Memorial Fund was born. It’s a family foundation: Lindsay serves as the President and Treasurer, Kayla as the Vice President and Secretary. Jessie’s parents are officers. Which, ironically is kind of what has happened. What started as a scholarship program for high school seniors has branched out to help so many—and often in ways that defy explanation. A family that was about to be homeless was given a downpayment for a new home; the exact amount of money they needed was given to the foundation the day before. A high school senior won the scholarship on the day of her high school graduation party, the day before her parents were going to tell her she had to defer her acceptance because they couldn’t afford the first payment. It was the exact amount they needed, too. This year, The Sunshine Memorial Fund will host its annual golf outing on August 20th at the Toftrees Golf Resort and Convention Center in State College, Pennsylvania. (You can register here.) And if you are planning on attending, you can plan for good weather. For as long as they’ve had the golf outing, the sun has shone every single year. It’s never rained. It’s easy to see that Jessie’s still shining, even now. The tragedy of losing Jessie will never lessen, but the joy she exhibited throughout her life carries on because of the foundation that bears her name. Karen told me about this organization and I thought it was such a great idea. Everyone needs someone to tell it to at one time or another, and many times it isn’t a counselor that helps, it’s just a listening and caring person who isn’t as close to your situation as your family or friends. That is written so well.It brought tears.it is hard to cope.As I lost my son. Thank for sharing the story of Jessie. We miss her so. Sending prayers and love.